When my family moved from Newport Beach to “rural” Irvine in the 80’s; I went from restaurants and store on every corner of 17th street to a patch of dirt that kids would BMX on off East Yale Loop and Alton. I loved “rural” living; I mean who wouldn’t love sneaking onto farm land and pick strawberries in the moonlight? It was a great place to grow up but what I longed for was a fast food restaurant to ride my bike to, maybe even a restaurant or two. Seriously the closest Taco Bell was over by the Tustin Marine base and that took me a good 45 minutes to bike to. Finally in my senior year of high school that patch of land off East Yale Loop became a center. Throughout college (I went to UCI) I ate at that center but it was okay, the restaurants weren’t brag worth. Actually if I think back to the 90’s and early 00’s most places we’re brag worth. My mom still lives in the house I grew up in and ever week I drive by the center that once was a BMX haven. Not once since my college days have I eaten there. That all changed when my mom told me about a new restaurant that opened in the center. Intrigued by its description we decided to dine there. It’s funny going back to a place that you haven’t been to in nearly 20 years. Everything is the same but completely different. 90% of the store had changed, the shell of the building was the same but the tenants were all new. The center was bustling with people, alive with laughter, something that it hadn’t had in years. 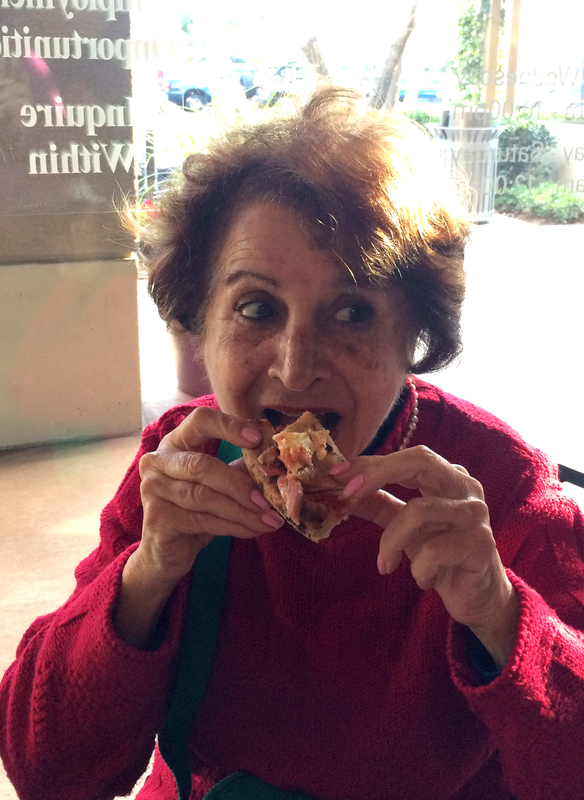 As I walked through center absorbing all the new store, I finally found my mother’s new favorite restaurant, Pizza:90. 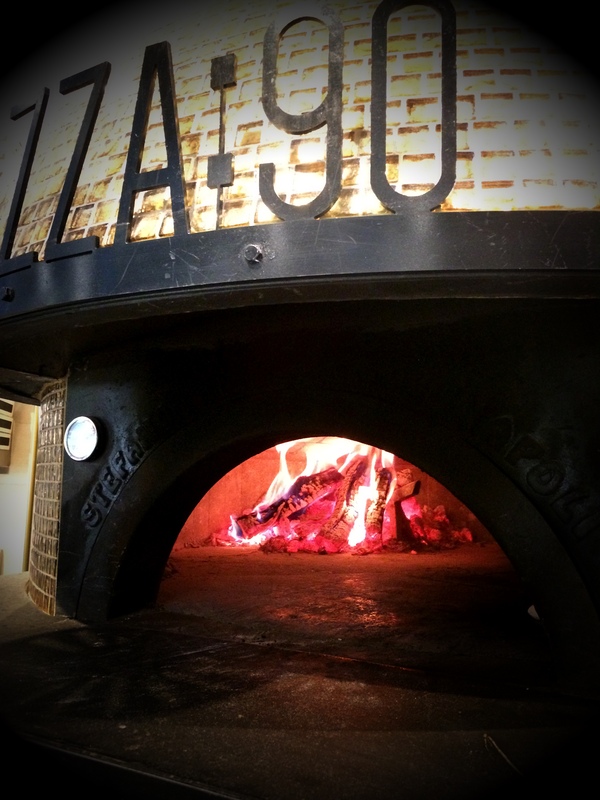 Once you step in the doors at Pizza:90, you will not only get a sensory overload due to the smell of fresh dough, you will feel like you are dining at a quaint restaurant in Naples, Italy. 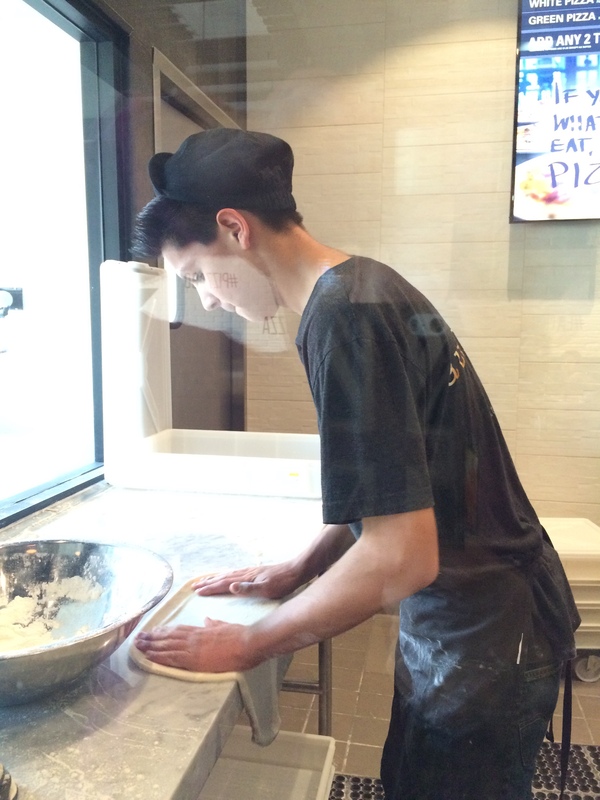 Pizza:90’s pizza dough is baked fresh every morning and prepared right in front of you by hand. 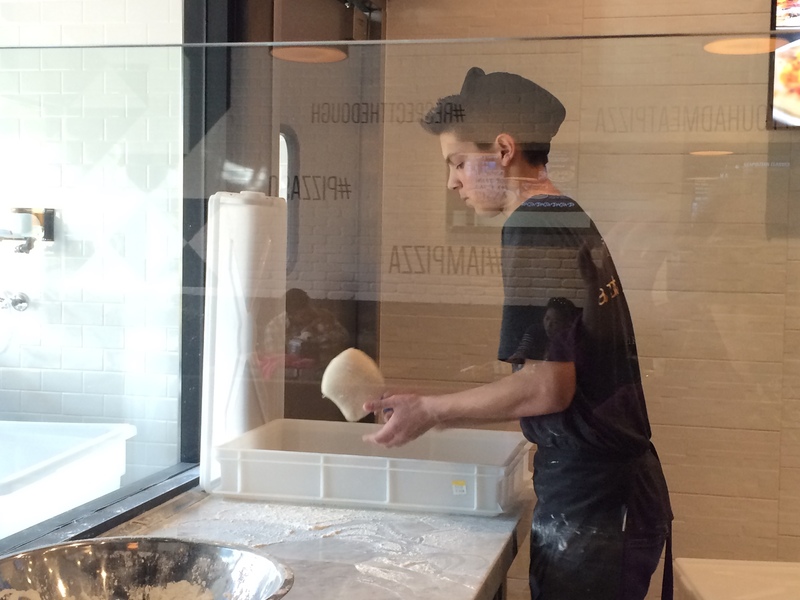 What makes Pizza:90 unique is that you get to watch your pizza get made from start to finish, right in front of you. 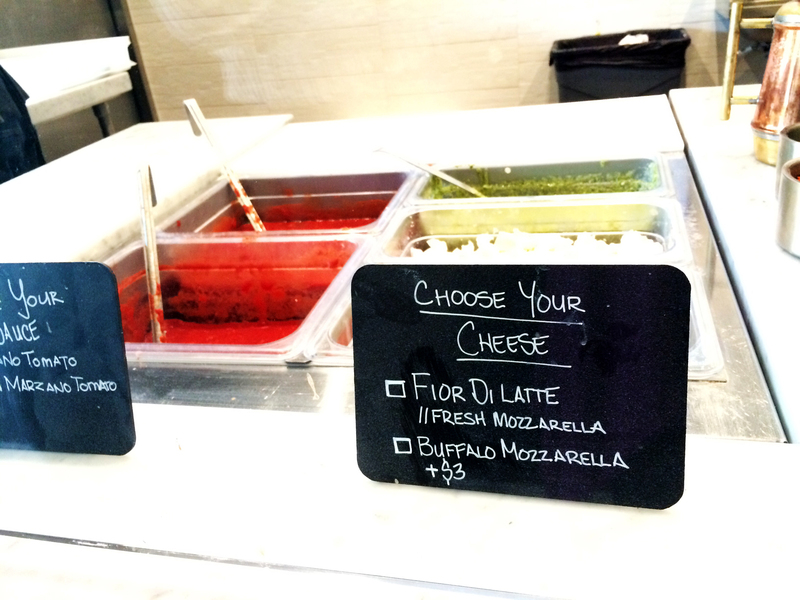 After the dough is prepared for you, you can choose your toppings and customize your pizza. I know what you are thinking how is this place any different than the other pizza parlors. 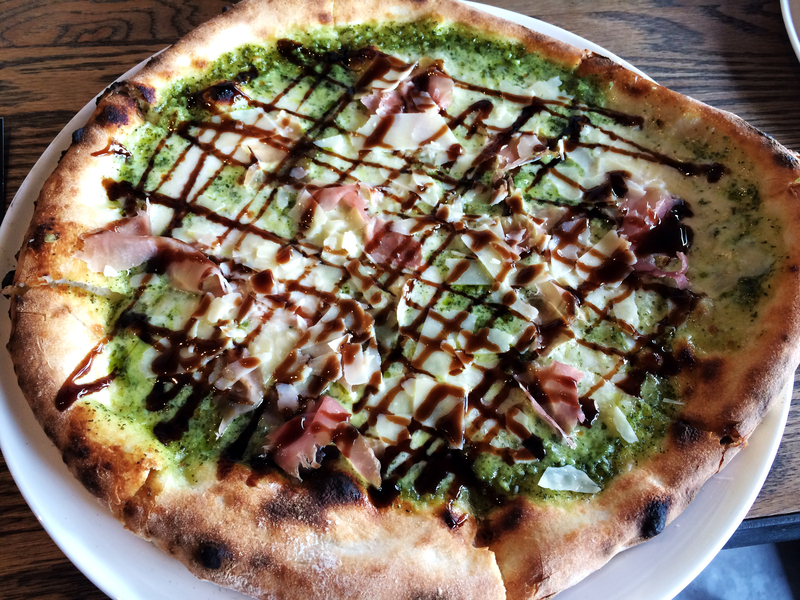 First of all they have a main chef, Francesco Savinetti, who has deep roots in Italy and makes sure all his staff is up to standard with the Italian way of making pizza. Second most of their ingredients are either from Italy (their flour, certain meats and tomato sauces are from Italy) or Italian. 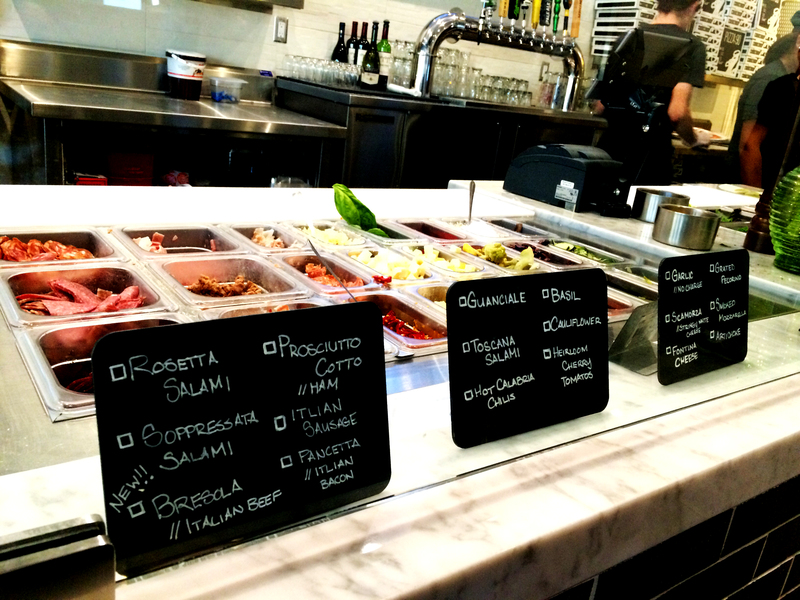 You won’t find your standard ingredients here, no pepperoni instead they have Italian salami. Third their pizza oven is unlike other; hand crafted by a 3rd generation oven manufacturer in Italy and shipped across the Atlantic, through the Panama Canal to California. 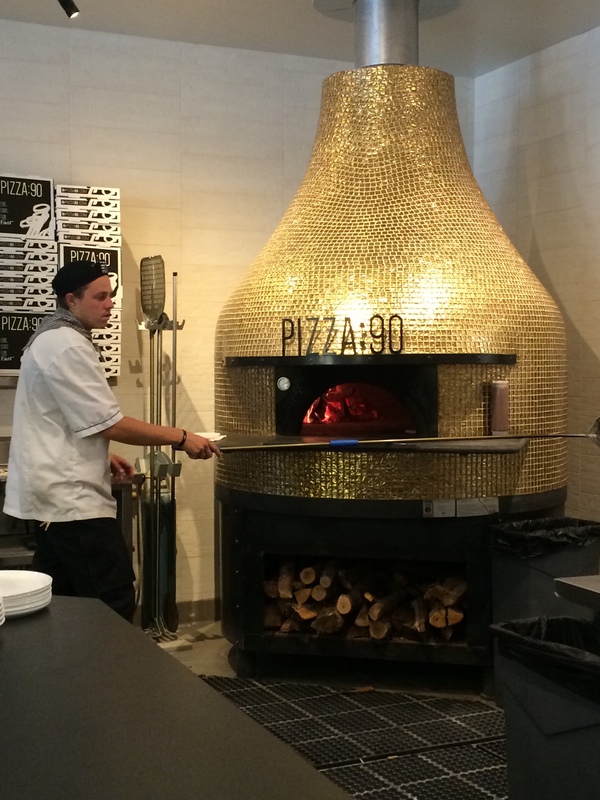 Their Italian volcano style wood fired oven covered in golden tiles bakes over 500 pizza’s daily in less than 90 seconds. Did that click for ya? 90 seconds Pizza:90? 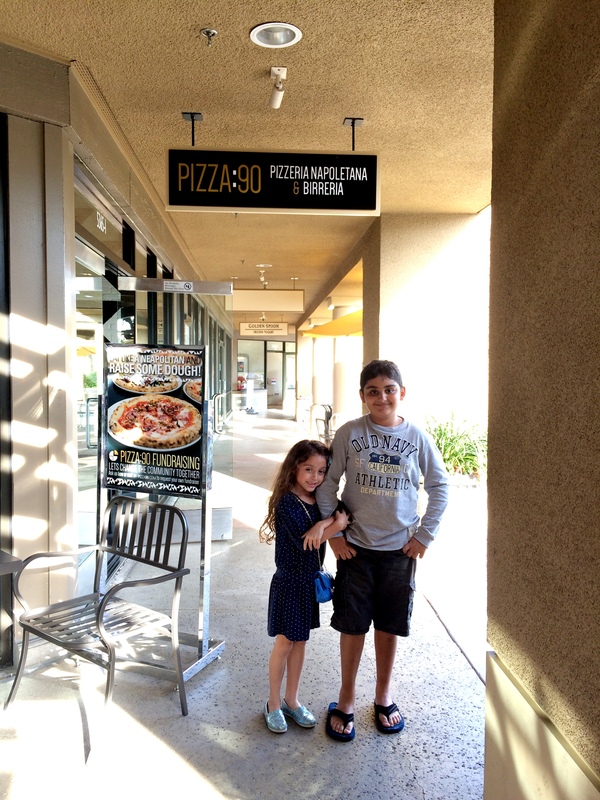 That’s right their name means pizza will be ready in 90 seconds. How do they do that? The oven is set at 900 degrees, that’s how! As I watched the “Pizzaiolis” (pizza –yo- lees), pizza chef, assemble my pizza I noticed how different it was compared to other pizzerias. The toppings were placed side by side not on top of each other. 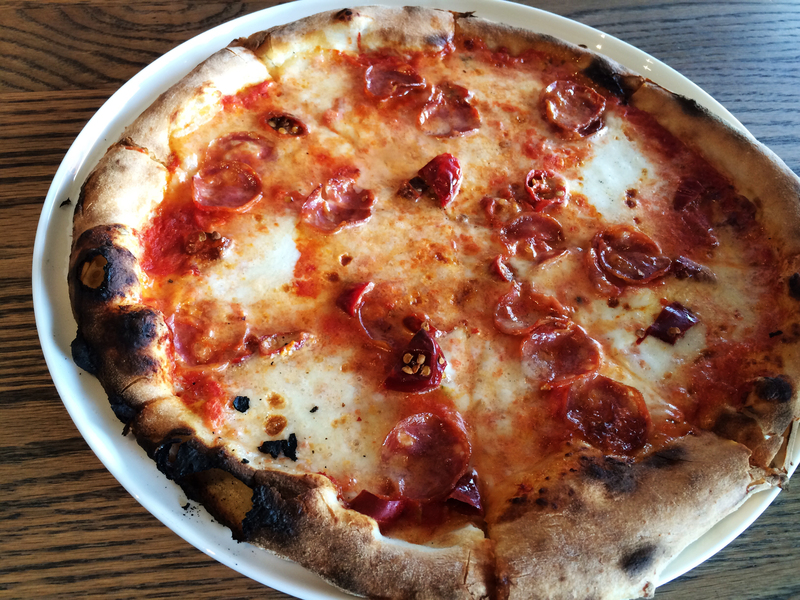 I asked the chef about this and he explained that once in the oven the toppings all blend together giving it the authentic Napoletana taste, a procedure regulated by the Italian governing association (VPN) so you experience a “true” pizza. 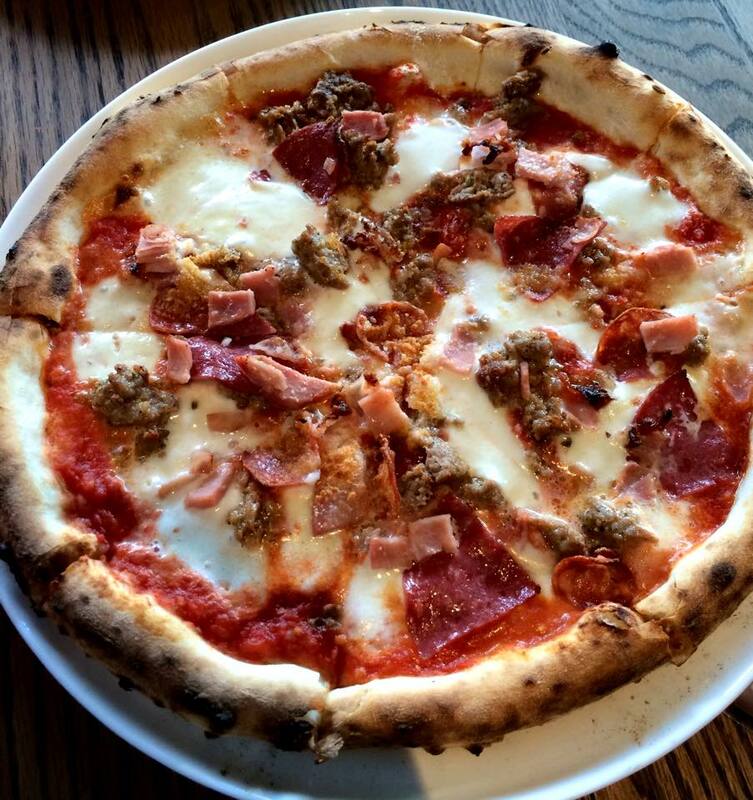 and Carnivora (Fior-di-Latte Mozzarella, San Marzano tomatoes, spicy sausage, Genoa salami, Rosetta salami, Prosciutto Cotto, Guanciale and Pecorino Romano). Reading the ingredients you probably are thinking there is no way my kids would eat any of this. Let me tell you my 10 year old son ate 3 of the 4 pizza’s (the spicy was too spicy for him) and then asked me why I don’t feed him good food like this all the time and my 7 year old daughter had 2 of the 4 pizza’s and probably would have eaten the other if she hadn’t gotten so full. 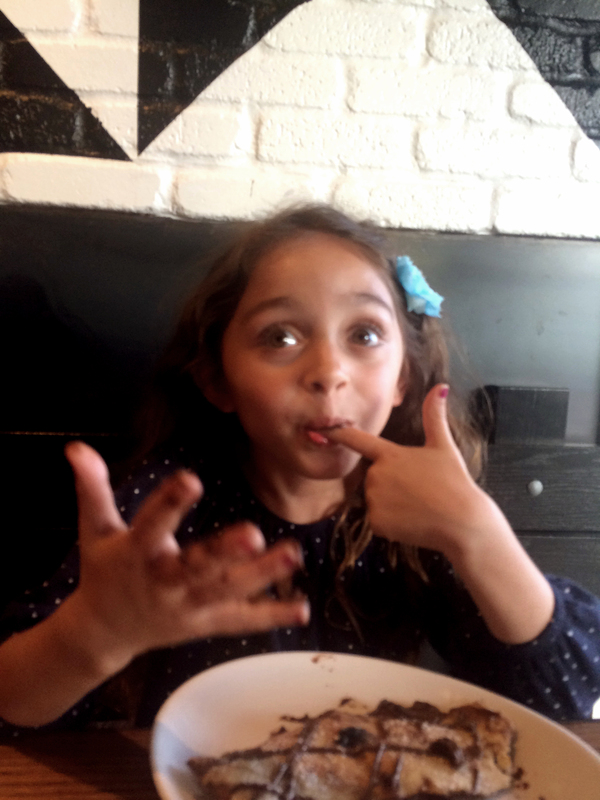 My theory as to why my kids loved the pizza? 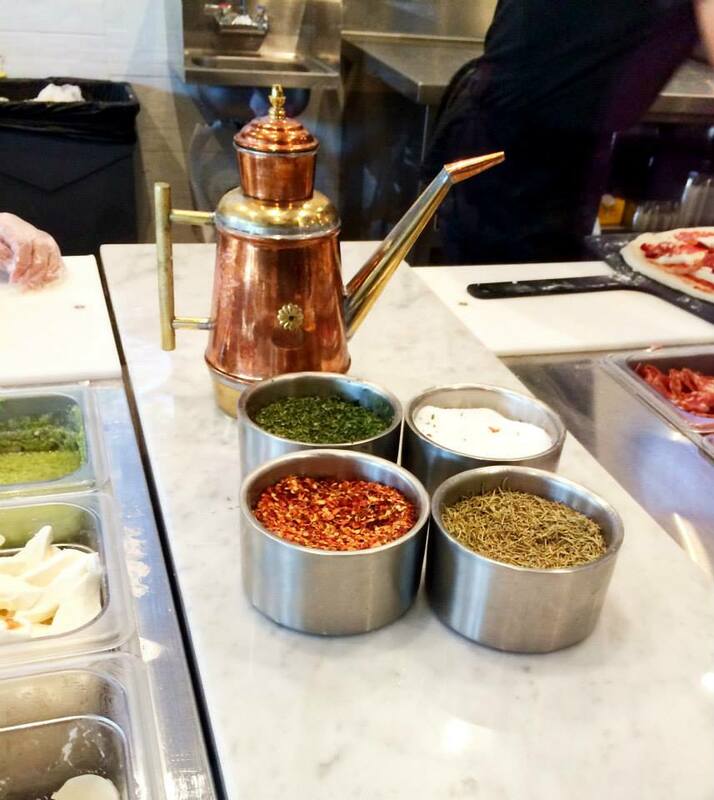 The fresh taste of the ingredients; you truly can taste how fresh everything is. You feel like you are eating something healthy and afterwards you don’t feel gross about it. 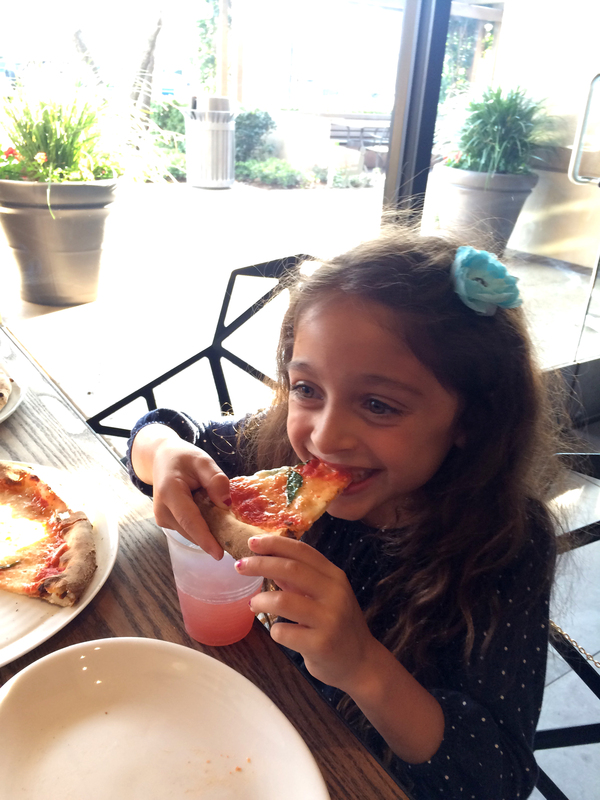 On a side note they also prepare glutton free dough so if you or your child is on that specific diet, you can enjoy this amazing pizza as well. 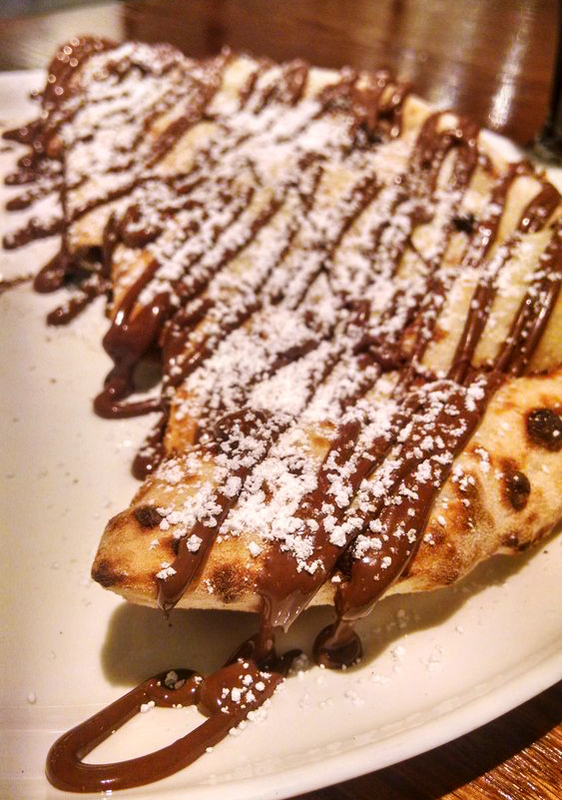 To end our meal we ordered their signature dessert, Nutella Calzone. 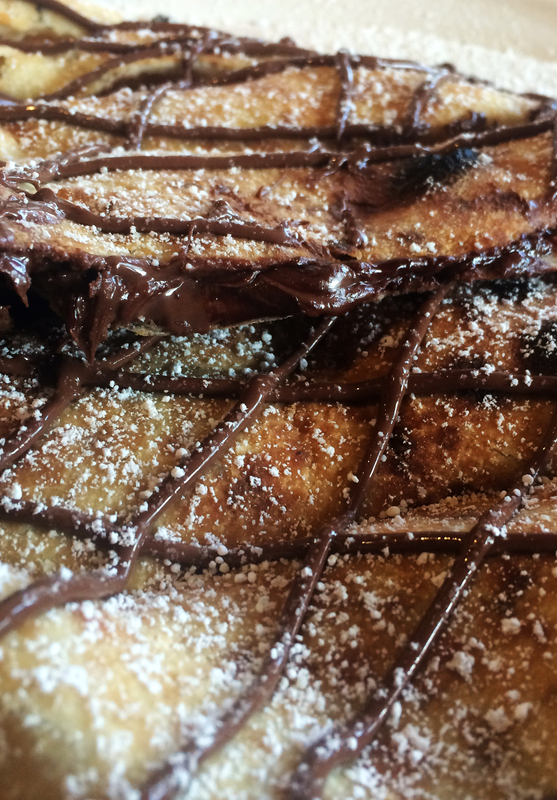 Amazingly enough my daughter suddenly wasn’t full and basked in the glory of warm Nutella covered in flakey pizza dough; a perfect way to end a great night and even greater meal. 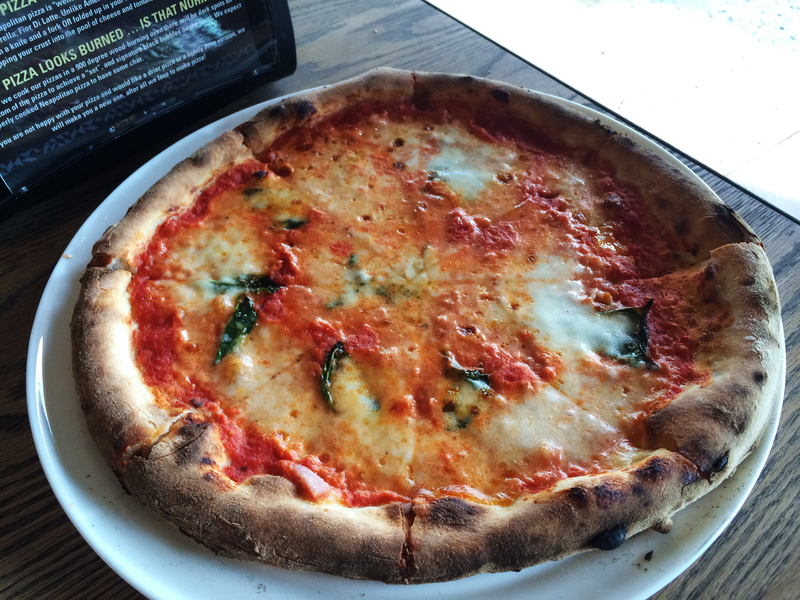 Pizza:90 is located in the Alton Square on the corner of Alton and East Yale loop at 5365 Alton Pkwy Ste I, Irvine, CA 92604 between The Ralphs and CVS. 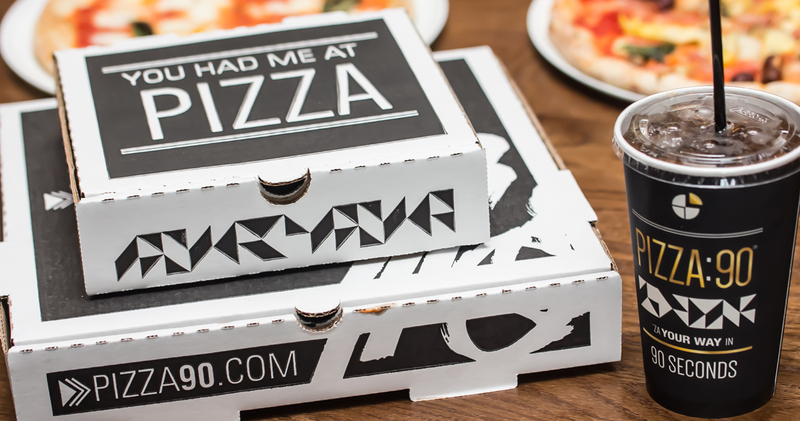 For more information please visit their website at www.pizza90.com.